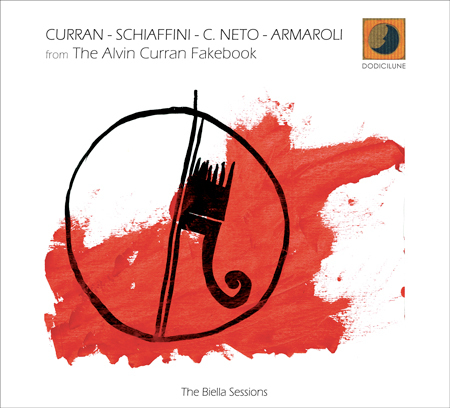 Esce il 27 novembre il progetto in doppio cd del quartetto composto da Alvin Curran, Giancarlo Schiaffini, Alipio Carvalho Neto, Sergio Armaroli dal titolo "from The Alvin Curran Fakebook - The Biella Sessions". 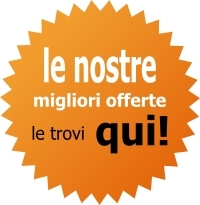 Il progetto sarà presentato in concerto a Milano lo stesso 27 novembre 2017 alle ore 21 presso il prestigioso Teatro Out Off, da quarant’anni al centro della scena sperimentale e di ricerca all’interno dell’innovazione dei linguaggi di espressione artistica. Il Fakebook rappresenta Alvin Curran nel suo modo peculiare di approcciare la musica; quello che il compositore conosce e può prevedere è la forma, non il contenuto. Nella musica di Curran coesistono la scrittura convenzionale, l’improvvisazione, la creazione estemporanea, e la sua principale caratteristica non è armonica, melodica o ritmica, bensì timbrica; è un personalissimo paesaggio sonoro di suoni strumentali e ambientali catturati in quasi sessanta anni di caccia musicale. The Alvin Curran Fakebook represents the peculiar way the composer addresses his musical imagination. The form but not the content can be predicted in Curran’s music. In his poetics, conventional writing and improvisation coexist. The main characteristics are not the harmonic, the melodic and the rhythmic elements, but the timbre. It is a personal soundscape of instrumental and ambient sounds collected in nearly sixty years of musical research. ALVIN CURRAN. Democratic, irreverent and traditionally experimental, Curran travels in a computerized covered wagon between the Golden Gate and the Tiber River, and makes music for every occasion with any sounding phenomena – a volatile mix of lyricism and chaos, structure and indeterminacy, fog horns, fiddles and fiddle heads. He is dedicated to the restoration of dignity to the profession of making non-commercial music as part of a personal search for future social, political and spiritual forms. Curran’s music-making embraces all the contradictions (composed/improvised, tonal/atonal, maximal/minimal…) in a serene dialectical encounter. His more than 200 works feature taped/sampled natural sounds, piano, synthesizer, computers, violin, percussion, shofar, ship horns, accordion and chorus. Whether in the intimate form of his well-known solo performances, or pure chamber music, experimental radio works or large-scale-site-specific sound environments and installations, all forge a very personal language from all the languages through dedicated research and recombinant invention. GIANCARLO SCHIAFFINI. Composer-trombonist-tubist, was born in Rome in 1942 and graduated in Physics at the University of Rome in 1965. Self-taught, he appeared as soloist in the first free-jazz concerts in Italy and subsequently presented his own compositions widely in the mid 1960’s. In 1970 he studied at Darmstadt with Stockhausen, Ligeti and Globokar and formed the contemporary chamber ensemble Nuove Forme Sonore. He also worked with Franco Evangelisti in 1972 and has since collaborated with the Gruppo di improvvisazione di Nuova consonanza until 1983. Has collaborated with John Cage, Karole Armitage, Luigi Nono e Giacinto Scelsi. He is member of the well known Italian Instabile Orchestra. He plays Contemporary Music, Jazz and Improvisation in concerts and international Festivals of Contemporary music and Jazz all over the World like Teatro Alla Scala, S. Cecilia, Biennale di Venezia, IRCAM e Festival d’Automne, Aspekte (Salisburgo), Donauesching, Moers, Gulbenkian Alte Oper (Francoforte), Filarmonica di Berlino, FIMAV (Canada), UNEAC (Cuba), Maggio Musicale Fiorentino, Lincoln Center e Hunter College (New York) and many others. Has been working with the singer and writer Silvia Schiavoni to the composition and performance of multi-media events inspired by literature and visual arts. In 2000 he has been Composer in residence for the International Composer & Improvisers Forum Minich. The Biographical Encyclopedia of Jazz (Oxford University Press) and the Enciclopedia della Musica (Utet/Garzanti) dedicate an entry-word to Mr Schiaffini. ALIPIO CARVALHO NETO. Brazilian-Portuguese saxophonist, composer, educator and scholar dedicated to interdisciplinary music studies. Based in Rapolano Terme (Siena), he works across a broad spectrum of musical idioms. He received in 2014 his PhD with highest honors in “Music History, Science and Techniques” from the University of Rome Tor Vergata. SERGIO ARMAROLI. The poetics of Sergio Armaroli covers many areas of expression in constant search of a unity of experience. He declares painter, fragmented poet and percussionist concrete, sound and conceptual artist and in addition to base its work through the "language of jazz" and total improvisation as an "extension of the concept of art". Concentrated on a "widespreed scriptural language" aware of being creator of "signs", where the verbal invention is "poetic gesture" in life is forced to a constant pedagogical effort.